We’re excited to introduce you to some of the incredible people working behind the scenes at Travix. Each Travix employee, in every position, plays a key role in getting traveling customers to where they need to go! We inspire and guide our customers through their entire travel journey offering the best travel deals possible and smooth booking through our user-friendly platforms. Travix is the company behind the internationally recognized brands: CheapTickets, Vliegwinkel, Vayama, BudgetAir and Flugladen. Travix has more than 550 employees representing over 50 different nationalities. Travix’s own operations spans 39 different countries. Learn more about ‘Young People with Big Jobs’ at Travix in Armando Magalhães’s blog. I love to code. I’ve been programming since I was 9 and working as a software developer for Brazilian and Portuguese companies for the last 4 years. 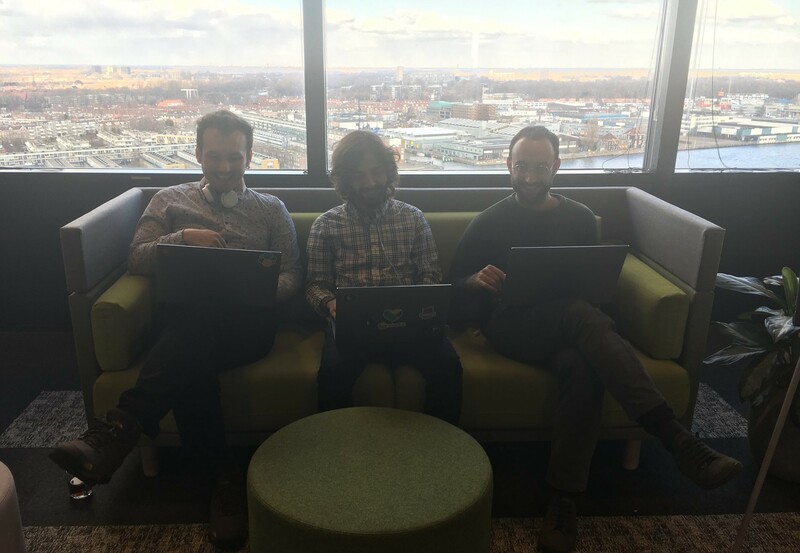 Now I’m a developer for Travix in Amsterdam, where I’ve been working for less than a year. I joined the company as an Intermediate Full Stack Engineer, but have since been promoted to a more senior role as a Software Engineer. The great thing about my work is that I get to combine my love for coding with new responsibilities, such as team management and decision-making on important technical decisions that directly impact how customers interact with our platforms and products.